Get "The Best Career Guide Ever" for FREE from Amazon from 9/28 - 10/2/17! 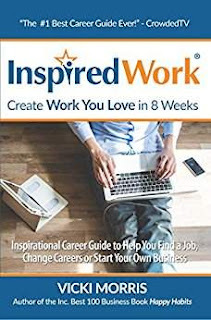 The InspiredWork Book Can Help You Find a Job or Create Work You Love in Just 8 Weeks. Dr. Joe Vitale, author of Attract Money Now, calls InspiredWork "the how-to book to create work you love."